Many weeks ago, I grew concerned with the lack of independent preparation that my GCSE classes were doing for their English exams. Held up by the scaffold of intervention around them, I sensed that they’d become too comfortable to break out from it and stand up on their own. But then maybe that is our doing – should we be dismantling their scaffolding piece by piece as they approach the exam, allowing them to become freestanding in good time? Do we do the opposite and add more scaffolding then take it all away at once in the exam hall? Anyway, they weren’t doing the one thing that I wanted them to do off their own steam: practising exam responses. As far as I’m concerned, practising exam responses is the most useful thing they can do before the English exam. It’s not just about technique – it’s about engaging with ideas in order to remember them and build on them, as well as preparing language analysis that is flexible and portable: I always tell pupils that their responses in their exam will be replications and adaptations of things they’ve written already if they are well-prepared. ‘Do the work now rather than in the exam’ is a mantra I often repeat to them. I told them that they should be bringing in – or emailing me – exam responses regularly (over and above scheduled homework responses). The return was underwhelming. So I started to nag them about the lack of exam responses and how concerning it was: “I am getting very few exam responses. I’m disappointed that only a small minority are working hard enough. The work you put in now is vital to your success!” Still very little. Why weren’t they responding to my genuine concern that they weren’t doing enough as a group? They are very good at responding to me in the classroom. What was different here? Cialdini and his colleagues felt that this was creating the impression in visitors that stealing wood was normative behaviour. The signs perpetuated the thinking: everyone else is doing it, so there’s no harm in me doing so too. In order to test their hypothesis, Cialdini and his colleagues replaced the signage and measured the amount of wood stolen when this new signage was displayed. 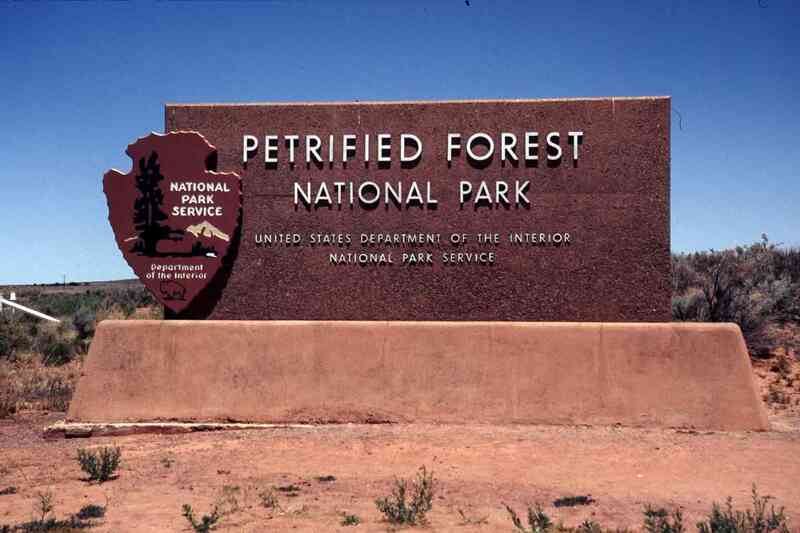 When they displayed the sign, “Many past visitors have removed petrified wood from the Park, changing the natural state of the Petrified Forest” alongside an image of three visitors taking wood, the percentage of wood stolen over a 5 week period was 7.92%. 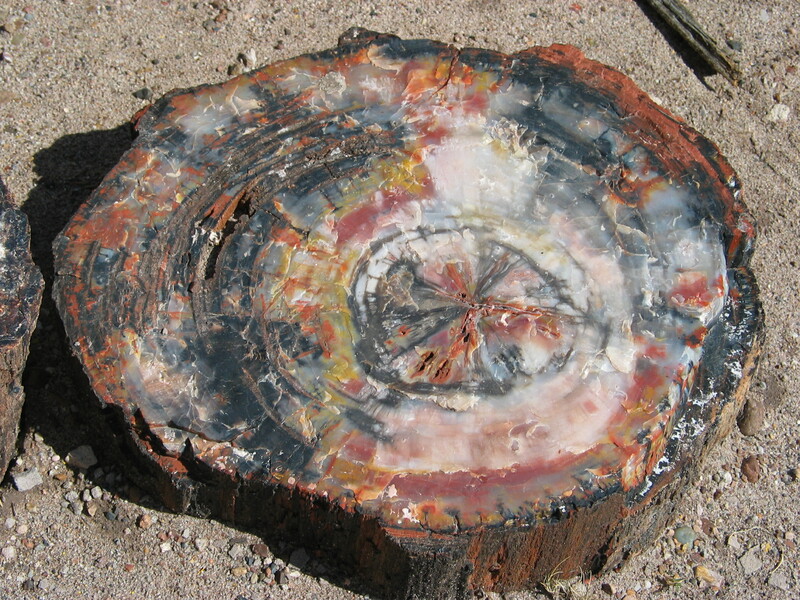 In contrast, when the sign they displayed read, “Please don’t remove the petrified wood from the Park, in order to preserve the natural state of the Petrified Forest” (accompanied by an image of a lone visitor stealing wood with a red circle and bar superimposed over the top), only 1.67% of the wood was stolen. 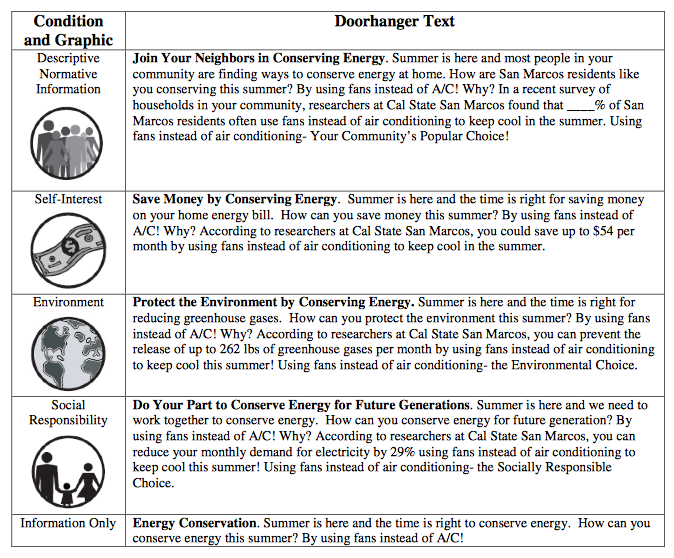 And here is how those messages converted to changes in energy consumption. So, by stating my concern that the majority weren’t doing the work, was I convincing them that it was okay not to do the work? I think so. With this in mind, I immediately started using language that didn’t imply this. I focused my language on emphasising those that were. And responses began to get more frequent. Now, the rise in frequency may very well correlate with the imminence of the exam: the closer we get, the more we prepare. But I think that by emphasising inductive norms (what people typically approve or disapprove) over descriptive norms (what people typically do), it has helped a great deal. A useful reminder of how important our language is in the classroom. I think I have had practise exam responses emailed to me at almost hourly intervals this weekend. Yes, the exam is in just a few days. But I’m not sure I recall having so many in previous years. POSTSCRIPT: I’ve just checked my email and I’ve received 3 more exam responses whilst I’ve been typing this. Now that I’ve shared these bugbears, I’ll try and blog some of my thoughts on overcoming them in the coming weeks. Timothy watched as his mother walked out of the school gates. He tried to keep his eyes on her as she disappeared into the crowd but it was like one of those tricks where they put a ball under a cup and then move it around, constantly swapping and switching places with two other cups. Soon it was just her head he could see moving through the crowd, then the head switched directions and became someone else’s head and then that was that: she was gone. He turned and looked at the imposing building in front of him. This was it. First day at Dunn Park School. This wasn’t the first time he’d been the new kid – the last few years of moving around because of mum’s job meant that he’d already experienced this ordeal twice before. “Who are you, then?” came a voice to his left. He turned to see a boy, slightly shorter than him, in thick-lensed glasses looking at him with a knotted brow. “Er… um… my name’s Timothy. I’m new here today. We just moved into the village at the weekend.” Timothy replied. “We?” asked the shorter boy, his voice pitched a little higher than Timothy’s own. “My mum and I. We moved into Robinson Gardens, just near the playground.” Timothy waited for the boy to respond, looking to see if his mention of something familiar would unknot the boy’s brow and hopefully end the inquisition. “Yeh, I know it. Whose class are you in?” Timothy resigned himself to the interrogation. “Um, my mum spoke to the school last week. I think the teacher’s name is Miss Mummyford?” Timothy’s eyes squinted as an inquisitive tone, in imitation of his scrutiniser, tried to wrap itself around the name as he uttered it. “Oh… good. I mean, great. What’s she like?” The ‘great’ may have been a stretch on Timothy’s part, but the question was meaningful. He’d had quite the range of teachers over the past few years and he really could do with someone normal, particularly after that bearded old duffer he’d had at the last school. What was her name again? Timothy actually felt a warming pleasure that he’d forgotten it already. “She’s alright. Quite nice really. She’s good at teaching sums and she does a funny American accent when she tells stories sometimes. Oh, by the way, I’m Kelvin.” This last bit was accompanied by an outstretched hand, palm to the inside. This was the first time Timothy had seen another kid want to shake hands with him. Sometimes adults did it – men mostly – but he knew they were just being playful or doing it to show off to his mum. Timothy took Kelvin’s hand and the boy grasped it firmly and gave it a tug upwards and then swung it back down again just once before letting go. “Miss Honeyford is better than most of the teachers I’ve had here. Geography is always fun – we made cliff dioramas last week. Yeh, she’s alright, except…” Kelvin paused as a flash of recollection came over him. “Mumpsimus?” Timothy repeated. Timothy wondered whether he’d heard that right. What on earth was a mumpsimus? At his last school, the teacher had kept a stick insect in the room. And he remembered his first teacher at that school in Wales had kept a guinea pig – all the kids got to take turns taking the guinea pig home for the weekend to look after. He remembers it because it was due to be his turn in the coming weeks and then he found out that they were going to move house before he’d get the chance. He remembers the teacher saying that he could even swap with the person who was due that week but Mum wouldn’t let him because they had “so much to do and having a guinea pig in the house would be a bloody hinderance.” Whilst Timothy would have loved to have taken that guinea pig home, he wasn’t sure he’d want to get too close to a mumpsimus, whatever that was. It sounded huge. Kelvin had said that it was in the room. “What is a mumpsimus? Is it in Miss Honeyford’s classroom?” asked Timothy, the sound of the word making him more nervous with every articulation of it. Timothy actively felt a chill bolt down his spine. He thought that just happened in books. What sort of a creature is a mumpsimus? I don’t like animals that are bigger than me. And I really don’t like reptiles. That chill spilled down him again, began to subside and then expanded at the shrill sound of the school bell ringing. “Come on! We’d best get in.” Kelvin said, grabbing Timothy’s coat sleeve and giving it a tug. Timothy dutifully followed Kelvin as they made their way though the double doors – under those strange foreign words – and into the building. Kelvin led them through the corridors and into Mrs. Honeyford’s room where the mumpsimus awaited them. The morning went by quickly, and there was no sign of the mumpsimus. Timothy spent most of the time scanning the room for this creature, but it was well hidden. At least it couldn’t be as big as he’d originally thought it was, which was a relief. They’d done some subtraction, learned some spellings and read some passages from a book about a badger. Timothy was really pleased that Miss Honeyford hadn’t made him stand up and introduce himself like some of his previous teachers had. Lunch was some unexceptional pasta bathed in a rather wan and feeble tomato sauce, served with some over-boiled, greying carrots. After they’d eaten lunch, Timothy had sat on the steps outside the gym and chatted to Kelvin, who told him all about the village and shared his repertoire of stories about other kids at the school. Timothy wanted to ask Kelvin about the mumpsimus but Kelvin was directing the conversation and he seemed to be enjoying delivering the potted history of his new classmates. When they returned to their classroom after lunch, they took their seats and Miss Honeyford announced that she had some puzzles for the pupils to solve. She handed worksheets out to each of the pupils but when she got to Timothy, she paused and withheld the paper from him. “Not for you, Timothy. I have something different for you.” Miss Honeyford said, seeming very pleased with herself. “I’ll just get it for you.” She walked to the filing cabinet next to her desk, opened the second drawer and her hand began flicking through the suspension files, her fingers dancing with a verve Timothy hadn’t noticed in her before. It sounded like she was humming a song too. Timothy felt a pang of horror. Oh my goodness. It was in that filing cabinet all this time! The mumpsimus. And now she’s going to set it upon him. He looked around the room at everyone else. They were all busying themselves with their puzzles. Weren’t they going to help him? Miss Honeyford started walking towards him with some paper carefully held out in front of her. It must be an insect of some sort, thought Timothy. It must be sat on that paper. He looked at Kelvin, who deliberately averted his eyes from Timothy’s and pretended – for Miss Honeyford’s benefit, thought Timothy – that he was completing his puzzle. Isn’t Kelvin going to help me? Isn’t anyone going to help me? Does this mumpsimus bite? Does it sting? What should I do? But the more he let these thoughts dart through his mind, the closer Miss Honeyford had gotten to him. As she reached him she lowered the paper and placed it in front of him. Nothing. There was no insect on it. No creature at all. Just some writing. In my last blog post, I wrote about taking one’s time. The flip side of this, of course, is that we sometimes invest too much time (and effort and money) in things that have very little or even negative impact. Why do we do this? 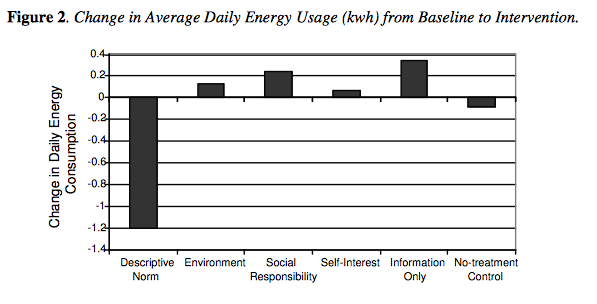 It’s simple human nature, according to psychologists and behavioural economists. But that doesn’t make it right. Psychologists describe this as the sunk cost fallacy: when we invest in something, our emotional attachment to it is such that it becomes harder to abandon it. This may result in an escalation of commitment: we will commit more to this investment, in spite of any previous negative impact, in the hope that it will eventually return positive results. One of my favourite examples of the escalation of commitment comes from the corridors of power in the Japenese city of Tsukuba. 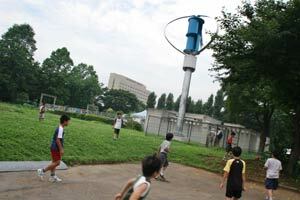 In 2004, the Tsukuba Municipal Government decided to invest in green energy across the city’s schools. They commissioned experts at the highly-respected Waseda University to design and plan a system of 75 windmills and generators at 53 schools. It was proposed that these would create enough energy to power the schools and also produce a surplus that could be sold back to power companies, bringing extra funds to the schools. Not only were there huge financial rewards to be had from the programme, city leaders were also keen to point out that it would reduce carbon dioxide emissions as well as encourage a generation of eco-friendly children. Plus the schools could all run science and data projects on wind turbine energy production. The following year, the university initially set up 23 small windmills at a cost of around ¥298 million to the city. But there was one problem. The windmills didn’t turn. The university hadn’t really planned for the fact that there wasn’t enough wind in Tsukuba to power the windmills. They largely sat lifeless, except for a few weeks of the year in March when winds arrived with enough vigour to give them a little stir. But the winds soon disappeared again and the windmills sat dormant. So the government cut their losses, right? No. They actually spent more money in order to try and show that these windmills could be successful. And how did they do that? They imported power to make the windmills move. Yes, that’s right. They spent money (and produced carbon emissions) artificially turning the windmills to give them the appearance that they were being powered by the wind. In fact, in 12 months of operation the windmills consumed 43 times more power than they generated. The city eventually – rather sensibly – aborted the project. And they then successful sued Waseda University for around ¥200 million for selling them a dud project. The problem is not only one of sunk cost but also one of opportunity cost. What could the city officials have been doing to meet their goals of energy efficiency instead of continuing to pile more resources on a failing project? As you read this, I am sure you are thinking about how ridiculous the decisions of the Tsukuba officials are. But the sunk cost heuristic is a powerful bias and we are all fallible to it. In no other arena has the escalation of commitment in the face of sunk costs been more prominent than in war. In 1967, Pete Seeger wrote the song ‘Waist Deep in the Big Muddy’ as criticism of America’s policy of escalation of commitment in the disastrous Vietnam war. It is from this song that behavioural psychologist Barry M. Staw lifted a line to title his paper, ‘Knee-Deep in the Big Muddy: A Study of Escalating Commitment to a Chosen Course of Action’. Staw’s study details an interesting experiment in which subjects were asked to make investment decisions over a period of time, given some information on how those investments performed. His study concluded that “individuals who are personally responsible for negative consequences will increase the investment of resources in a previously chosen course of action”. So not only do we often carry on when we have no impact, according to Staw we are actually more likely to carry on and escalate our commitment when we have negative impact. The big fool said to push on. In schools, we are all susceptible to continue down a path that yields little to no impact because of our emotional attachment to it. I have certainly done so and probably will do again. @DHTJohn says here that one such area might be our escalating commitment to pre-exam interventions, stating that he has seen “schools where it’s observable that this culture of extra lessons actually makes results worse.” Headteacher John Tomsett also suggests a similar attitude to intervention in his justification of how his school reduced commitment to such intervention in favour of a different path. The area which gives me the most concern in the face of our liability to the sunk cost fallacy is where I see massive investment in technology in schools. 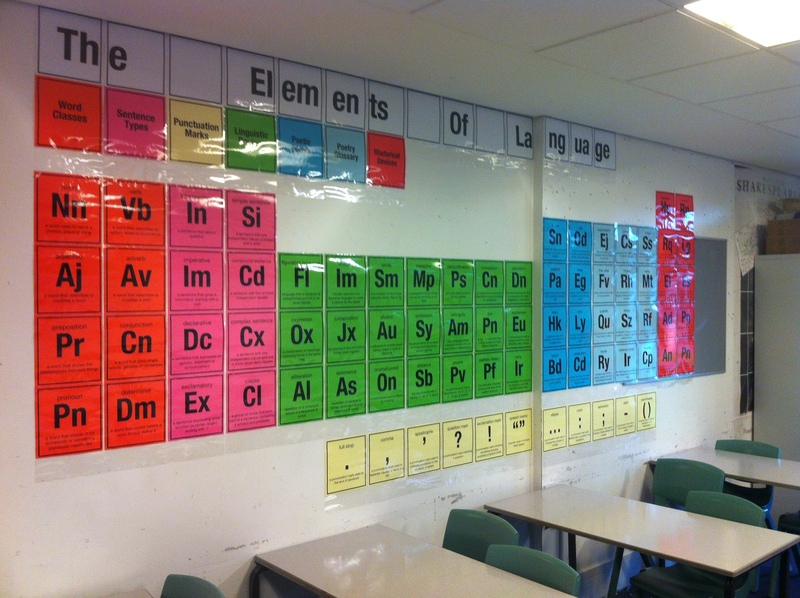 Amongst other things, there are many schools now which have invested heavily in one-to-one devices for their pupils. I wonder how easy it is for decision makers to be objective given the huge financial and emotional commitment made? If anyone knows of an objective response to such trials, I would be really interested to see it. I also think that the major technology companies have come up with a neat trick to ensure that we commit emotionally to their products: establishing their own accreditations for teachers. Just a quick look on Twitter and you will see teachers who identify themselves as certified by such companies. Some individuals even go as far as to include company logos in their Twitter handles. People actually tie their very identities to these companies. I would hypothesise that, in this way, people are sinking huge emotional costs in such a way that they would find it virtually impossible to change direction at any point. Worse, they might escalate their commitment despite a possible lack of impact. Ultimately, the more we invest in something, the more likely we will continue to invest in it. So, whilst I advocate taking one’s time over something before making a decision, I would also warn that such an investment of time can sometimes sway our thinking. It’s not easy, is it? And here’s the rub: I decided earlier that I was going to write this post out and then delete it – “murder [my] darlings”, as Arthur Quiller-Couch puts it. Why? To prove that I could sink costs into something then abandon it (I planned to rewrite it again later). And guess what? I couldn’t do it. This post is probably rubbish (it almost certainly is), but such is my emotional attachment to the decisions I made in writing it, I couldn’t let it go. Heck, I’m even just about to click ‘Publish’. The big fool said to push on. 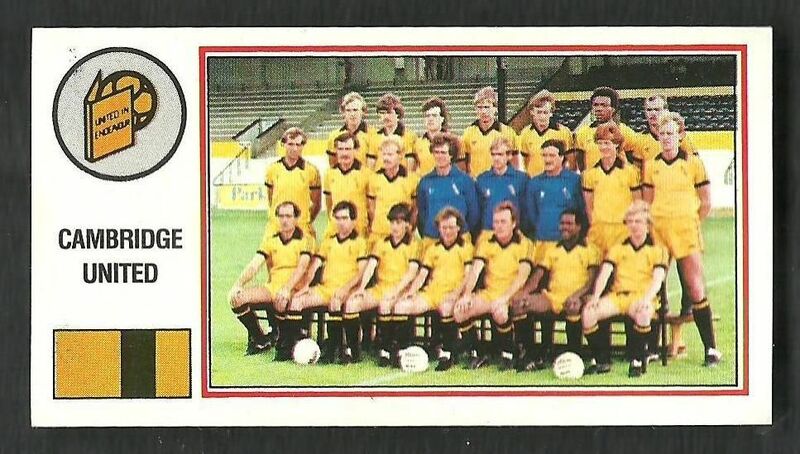 In 1982, Cambridge United went the entire month of December without conceding a goal at home in the league. Hardly remarkable, I know. But then they repeated this feat in January. And again in February. In fact, they continued to keep clean sheets at the Abbey Stadium for the remainder of the league season. So, to celebrate this record-breaking achievement, the club decided to publicly honour their unyielding back five with a special award at their last home game against Oldham Athletic on May 14th. Cambridge continued their resoluteness on this day and went in at half-time with the score securely at nil-nil. Nobody was going to breach this defence as they readied themselves to be honoured for such am impressive record. So, with all the pomp the club could muster, at the half-time break goalkeeper Malcolm Webster was invited onto the pitch in front of the home crowd to receive the award on behalf of the invincible defensive unit to the appreciation of the Cambridge fans. Now, there’s two ways of looking at that award and the timing of it. You could suggest it was timed perfectly, awarded to Webster at the very last possible window available before the run ended. Impeccable timing. But I think most of us would surmise that it was celebrated too early – why not wait until the end of the run and judge it on what it was? It was still a great achievement which could have been reflected on with pride by the players and fans alike. But by giving the award out when they did, did they alter the course of the run? Did the players lose the concentration and not see through their achievement? Could it have gone on longer, into the following season? To me, this is a lesson in taking a dilatory approach: delaying the drawing of conclusion until such a time that one can really fully reflect on the outcomes. This term ‘dilatory’ is often used as a pejorative, but I intend here to reclaim it as a positive. 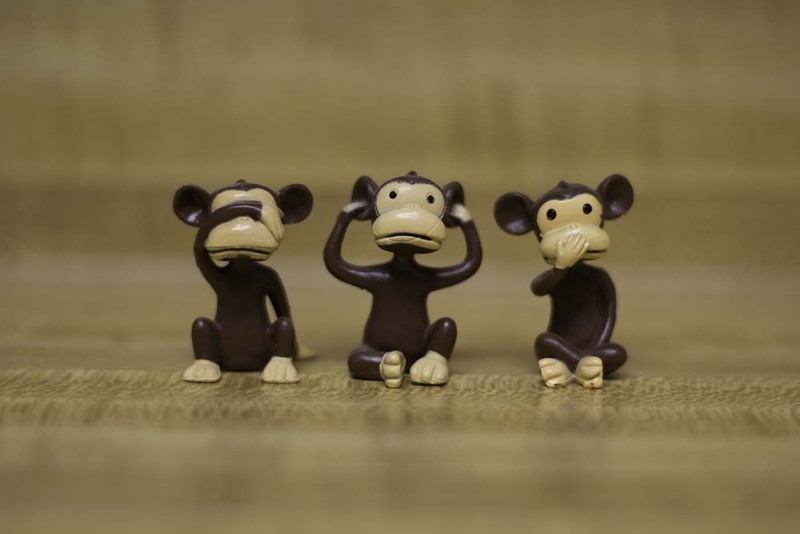 One of the most valuable lessons I’ve learned in recent years is the importance of taking time to trial and evaluate the things I do before I draw conclusions – something which I have to admit I haven’t always done, and something which is often stymied by the blustering pace at which schools operate. I’ve blogged in the past on my ‘successes’ using SOLO taxonomy as well as worked with others in my school in using the model. I now realise (seeing the problems of the taxonomy and its hierarchical nature which places knowledge acquisition firmly in the ‘lower’ levels) how previous I was in doing so. Furthemore, I very recently tweeted a picture of a work-in-progress Periodic Table of English which I am trialling at the moment. This was a mistake as I had not at that point – and still haven’t – had enough time to appraise its usefulness and effect. However, I was immediately inundated with requests for copies of it, despite the project not being complete. I am very wary of having my name attached to something which may turn out to be a just bit of guff. Taking a dilatory approach to sharing the project would have allowed me to really think it through, develop it and evaluate it fully. This sort of hasty approach is everywhere in education. I recently saw promotion of the idea of a ‘StudentMeet’ in a recently-published edu-book. This is basically a TeachMeet for pupils, at which they share their approaches to learning. Now, I am not disparaging the idea. However, what interested me was the author’s experience of a StudentMeet. What struck me was that the tense and tone used to talk about them was entirely speculative. There was no sense that the author had actually held one (I am happy to be corrected, though). The author had also ascribed a hashtag to the idea and a search for it shows only one tweet from them on the subject, which was just the hashtag followed by ellipsis. The author is not usually shy in sharing ideas, so I would be surprised if they’d held one and not blogged or tweeted about it. However, I did see – using this hashtag – that someone in Australia had held one in 2012 and blogged glowingly about it at that time. I contacted them and asked if they’d held any since. They told me that they did indeed hold one in 2012 and that they were “Hoping someone else would follow up”. I did wonder why something which was considered so useful and blogged about effusively was immediately forgotten about, but I’ll concede that sometimes schools and workload do that to us. But, as I said, my point is not to disparage the idea, but rather the fact that this idea has barely germinated before it is being printed in a book of advice for teachers. I certainly would advocate a dilatory approach to publishing a book. I was reminded of the need for not diving hastily into something only recently when the ATL voted for teachers to be trained in using neuroscience in the classroom. Doesn’t that seem brash and ill-advised? I mean, neuroscientists don’t even know much about neuroscience. Why on earth do we need to be toying with it? Can’t we wait until we have something solid and meaningful before we dice with it? There is nothing wrong with taking your time over something. There is nothing wrong with waiting and observing. In fact, I’d say it is of utmost importance, when we are dealing with children’s lives, that we take a dilatory approach to everything that we do.